The FFVS J 22 was a single-engine fighter aircraft developed for the Swedish Air Force during World War II. At the onset of World War II, the Swedish Air Force (Flygvapnet) was equipped with largely obsolete Gloster Gladiator (J 8) biplane fighters. To augment this, Sweden ordered 120 Seversky P-35 (J 9) and 144 P-66 Vanguard (J 10) aircraft from the United States. However, on 18 June 1940 after the German occupation of Norway, the United States declared an embargo against exporting weapons to any nation other than Great Britain. As the result, Flygvapnet suddenly faced a shortage of modern fighters. Several other foreign alternatives were considered: the Finnish VL Myrsky and Soviet Polikarpov I-16 were unsatisfactory, and while the Mitsubishi A6M Zero was available, delivery from Japan was impractical. A batch of Fiat CR.42 Falco (J 11) biplanes and Reggiane Re.2000 Falco (J 20) were eventually purchased but this was clearly an interim solution. 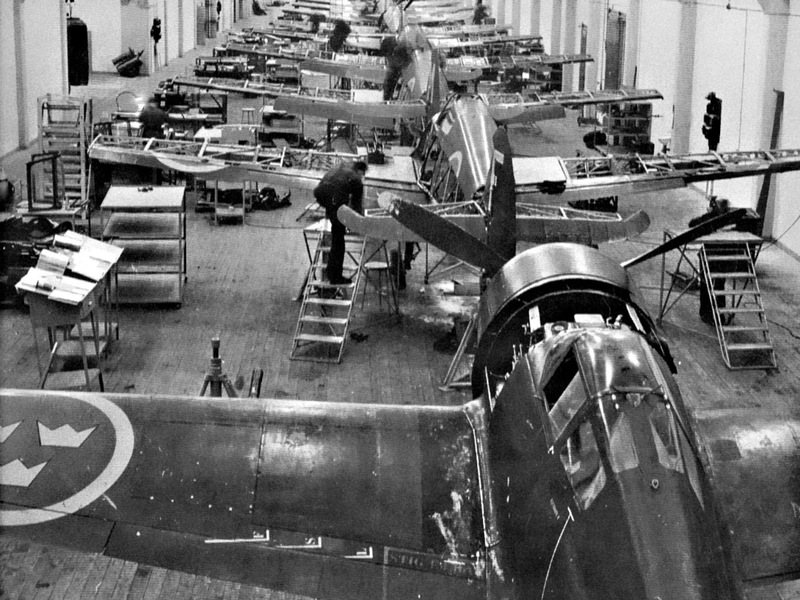 With Flygvapnet facing a serious shortage of aircraft and Saab running at full capacity building its single-engine Saab 17 and twin-engined Saab 18 bombers, a new firm and factory were established specifically for the new fighter — Kungliga Flygförvaltningens Flygverkstad i Stockholm ("Royal Air Administration Aircraft Factory in Stockholm", FFVS) under Bo Lundberg. The aircraft, designated J 22, was a monoplane with a plywood-covered steel airframe. 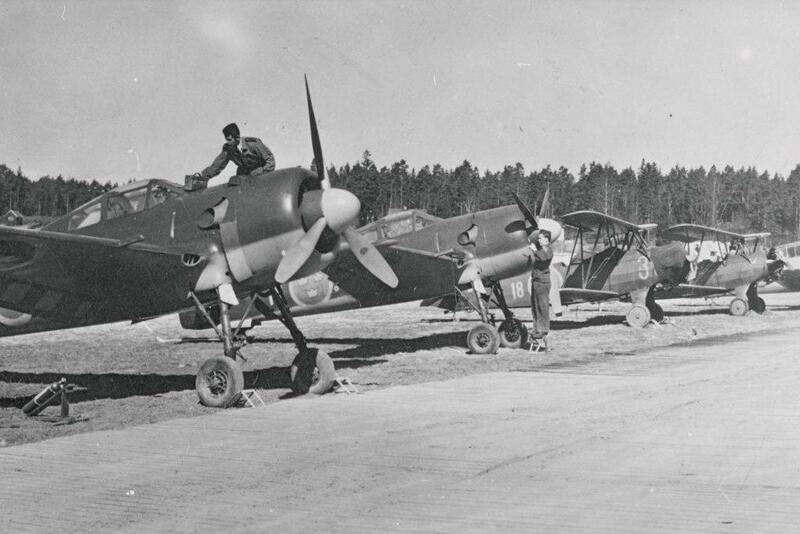 Toisen maailmansodan alussa Ruotsin hävittäjäpuolustus oli teknisesti vanhentuneiden Gloster Gladiator -hävittäjien (Ruotsin ilmavoimien tyyppitunnus oli J 8) varassa. Ruotsi tilasi 1930-luvun lopussa Yhdysvalloista 120 Seversky EP-1- (J 9) ja 144 P-66 Vanguard (J 10) -hävittäjälentokonetta. Näistä Ruotsi ehti saada vain 60 Severskyä ennen Yhdysvaltain aseidenvientikiellon astumista voimaan 2.7.1940. Osa Severskyistä tuotiin Trondheimin kautta, pääosa kuitenkin kesällä 1940 Petsamo ja Haaparanta kautta. Vuonna 1941 Ruotsin ilmavoimat pohti jopa keskeneräisen suomalaisen VL Myrsky -hävittäjän ja väitetysti jopa neuvostoliittolaisen Polikarpov I-16 -hävittäjän hankintaa. Japani olisi ollut valmis myymään Mitsubishi A6M Zero-hävittäjiä, mutta tuonnin logistiikka katsottiin liian monimutkaiseksi. Ruotsi osti koneita Italiasta kuten Suomi talvisodan edellä. ja Reggiane Re.2000 Falco (J 20). Nämä ratkaisut katsottiin väliaikaisiksi. Koska Flygvapnetilla oli pula taistelukelpoisesta lentokalustosta ja Saabin resurssit olivat kiinni B 17 ja B 18 pommikoneiden kehittämisessä, perustettiin uusi lentokonetehdas: Kungliga Flygförvaltningens Flygverkstad i Stockholm (FFVS). Yhtiön ja samalla J22:n pääsuunnittelijaksi tuli insinööri Bo Lundberg, jota avusti Björn Andreasson. Uusi lentokonetehdas sai tehtäväkseen suunnitella J 22 hävittäjän. Kone oli vaneripintainen teräsputkirunkoinen, yksimoottorinen ja alatasoinen. Laskuteline oli sisäänvedettävä ja omasi varsin kapean raideleveyden, joka Ruotsin hyväkuntoisilla lentokentillä ei ollut suuri ongelma. Ulkoisesti kone muistutti Focke-Wulf Fw 190-konetta. Voimalaitteena oli Ruotsissa laittomasti kopioitu Pratt & Whitney R-1830 Twin Wasp, jota valmistettiin nimellä SFA STWC-3G. 113 ensimmäiseen J 22 -hävittäjään tuli kuitenkin Saksan sotasaalisvarastoista Ranskasta ostettu Pratt & Whitney R-1830 SC3-G Twin Wasp -moottori. Koneen valmistukseen osallistui yli 500 alihankkijaa. Wing and fuselage layout were conventional, with the narrow-track main landing gear retracting rearward entirely within the fuselage, somewhat similar to the 1935 Focke-Wulf Fw 159 parasol-wing monoplane fighter design. Power came from a Swedish copy of the Pratt & Whitney R-1830 Twin Wasp, manufactured without a license at the time, though license fees were paid later (a symbolic US$1). 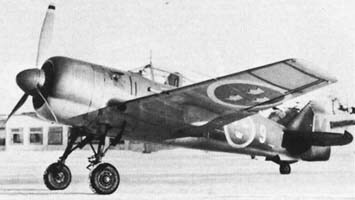 The J 22 first flew on 20 September 1942 from Bromma airport, where the factory was located. It entered service in October 1943, at the F9 air wing at Gothenburg, with the last of the 198 aircraft delivered in April 1946. 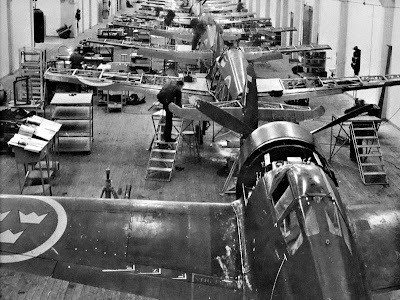 Sub-assemblies for the J 22 were made by over 500 different contractors. The J 22 was well liked by its pilots and possessed good manoeuvrability and responsive controls. Forward visibility on the ground left something to be desired and if the tailwheel was left unlocked and able to swivel during take-off there was the potential to ground-loop. In mock dogfights with P-51 Mustangs (called J 26 in Swedish service) it was able to "hold its own" up to 5,000 metres (16,000 ft) although, above 6,000 m (19,000 ft), without a good high altitude supercharger, it became sluggish. 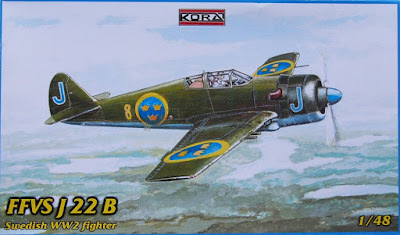 J 22 pilot Ove Müller-Hansen: "This was one of the finest aircraft that I have ever flown. The responsiveness of the controls and overall handling was exceptionally nice. It was not a high altitude fighter but up to about 5000 m (16,000 ft) it could hold its own very well. We flew mock dog fights with P-51 Mustangs and they could not catch us below 4000 m (13,000 ft) but if the fight was higher than that we had to be very careful. At altitudes above 6000 m (19,500 ft) it was getting sluggish and at 9000 m (29,000 ft) it was not much power left. Stalls in turns and straight forward were usually not a problem. If you pulled really hard in turn it would sometime flip over on its back. The first version, the 22-A, did not have much fire power, but the 22-B was better." Because of its simple systems the J 22 was very easy to maintain and service. With 575 km/h (360 mph) from a 795 kW (1,065 hp) engine, the press called the diminutive fighter "World's fastest in relation to the engine power" (while not absolutely true, it was in the same class as the early marks of Supermarine Spitfire and Zero). The J 22 crews promptly modified this to "World's fastest in relation to the track width" (for which the Spitfire might also have competed), because of the very narrow wheel track. The aircraft was retired in 1952. Three examples of the J 22 are preserved in Swedish aircraft museums. 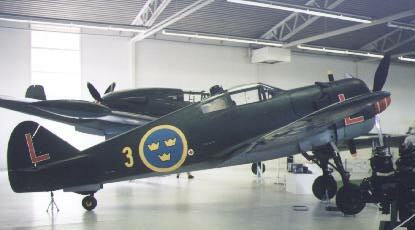 The aircraft in the heading photograph is in the markings of F 3 Malmslätt, code 'L' and is displayed in the Flygvapenmuseum at Malmen near Linkoping. J 22-1 - first production version, 2x 7.9 mm and 2x 13.2 mm machineguns, 143 built. J 22-2 - armed with 4 x 13.2 mm machine guns, 55 built. 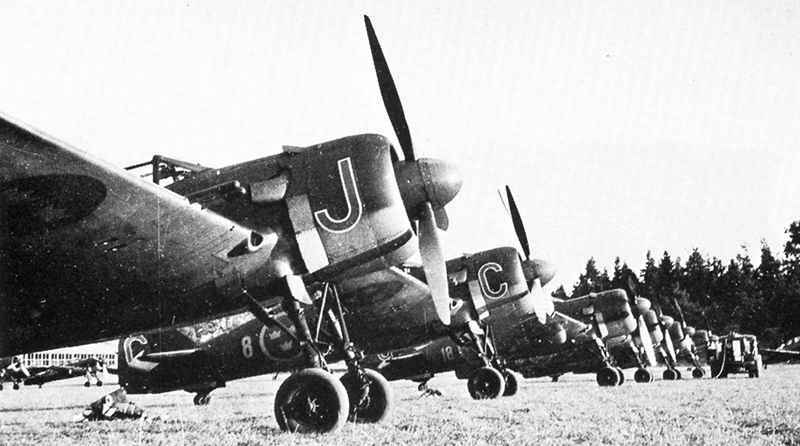 S 22-3 - nine J 22-1 equipped for reconnaissance in 1946, restored to fighters in 1947.